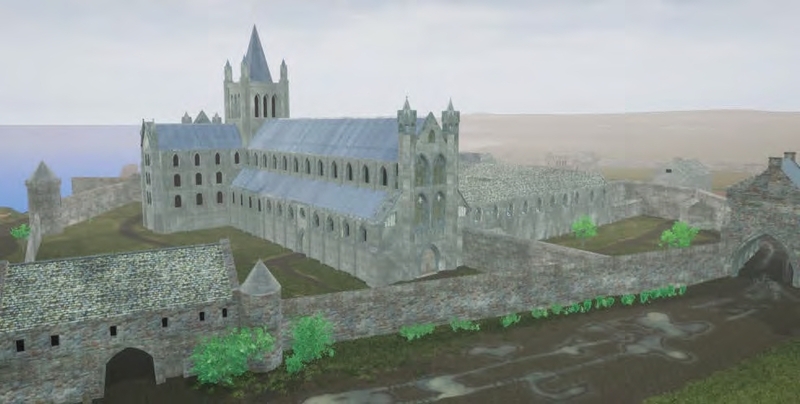 A new digital reconstruction of the cathedral of St Andrews shows the lost splendour of this religious building and its surroundings just before the site was destroyed during the reformation. Today, the seaside town of St Andrews in Fife is best known as the home of golf. Yet, for centuries it had a different claim to fame. Throughout the Middle Ages, St Andrews was the religious capital of Scotland. It was home to the shrine of the nation’s patron saint, the base for the kingdom’s senior bishopric, and the site of the country’s most important church – the great cathedral of St Andrew, described by the medieval writer Walter Bower as the ‘lady and mistress of the whole kingdom’. 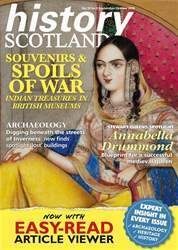 This summer marks the 700th anniversary of the consecration of St Andrews cathedral. On 5 July 1318 King Robert the Bruce and his courtiers gathered in St Andrews to witness Bishop William Lamberton officially bless what was then the largest building ever constructed in Scotland. The new cathedral stretched almost 320 feet from east to west, and was not surpassed in size until the Victorian era when Waverley railway station was built.